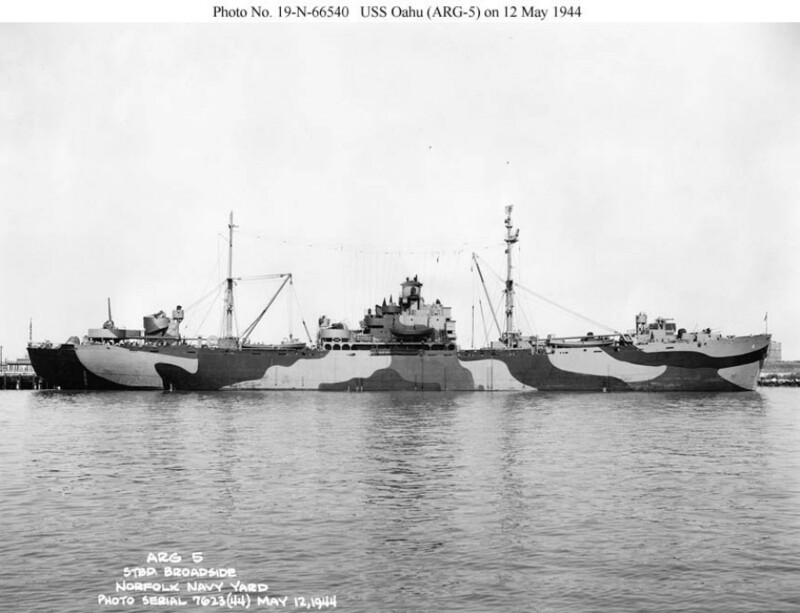 Laid down, 14 August 1943 as SS Caleb C. Wheeler a Maritime Commission type (EC-2-S-C1) hull under Maritime Commission contract (MCE hull 1782), at Bethlehem Fairfield Shipyard, Inc., Baltimore, MD. Converted to an Internal Combustion Engine Repair Ship at Maryland Drydock Co, Baltimore, MD. 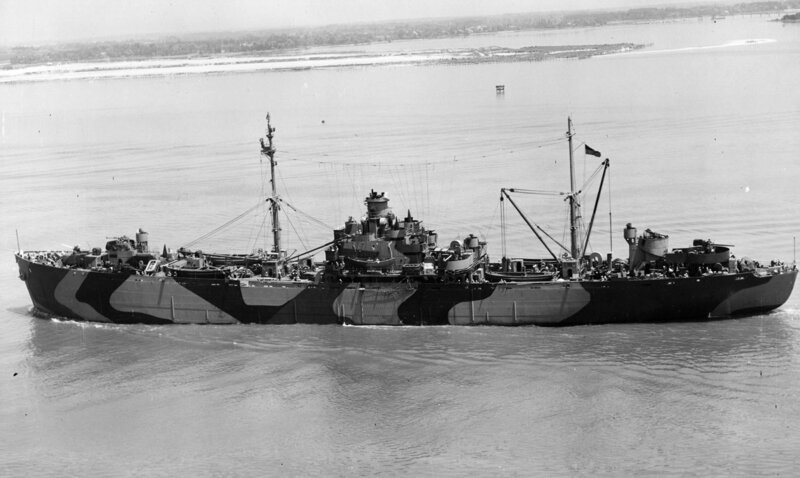 Decommissioned, 7 January 1947, at San Diego, CA. Transferred to the Maritime Commission in July 1963 for lay up in the National Defense Reserve Fleet, Suisun Bay, Benecia, CA. 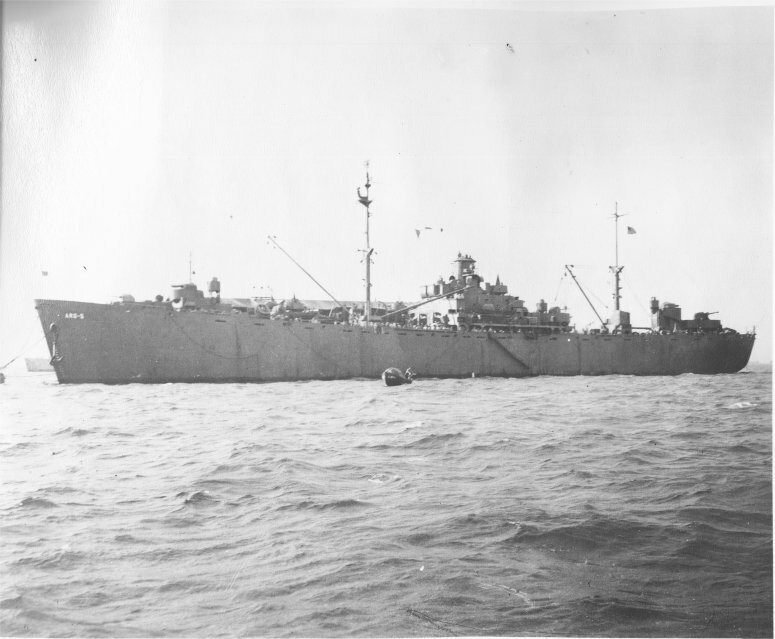 105k USS Oahu (ARG-5) moored at Norfolk Navy Yard, 12 May 1944.